You are currently browsing the category archive for the ‘anniversary’ category. Today marks ten years of my being cancer-free. 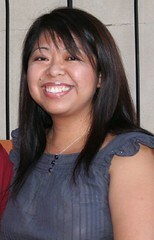 In this photo, I had been recovering at the Mayo Clinic in Minnesota for almost a month. By then I had lost my left kidney, left adrenal gland, a rib, a few lymph nodes, and 25% of my liver. There have been times that I didn’t quite understand why it was that I was still here. My cousin who is an oncologist even said that mets (metastasis or spread) to the liver is usually fatal because of all the liver’s network of blood vessels. Tumors are kept alive thanks to these vessels, yet the good doctors at the Mayo Clinic were able to resect the part of the liver where my adrenal cancer (supposedly from 1998) had spread. My liver has grown back quite healthily as shown in yearly CT scans. I thought I knew everything about faith when I was first diagnosed in 1998, that I had dealt with cancer and understood life and religion. But when it came back in 2002, I dropped to my knees again and came to realize that I was not even half-way to understanding what faith was really all about. Feeling a bit vulnerable so will zone back out and continue with this flashback to Minnesota in February of 2002. Thanks to my sis who was with me in Minnesota to wheel me around in the snow. We discovered amazing underground passage ways and skyways between our hotel, the hospital, movie theater and bookstore without ever having to leave the buildings. 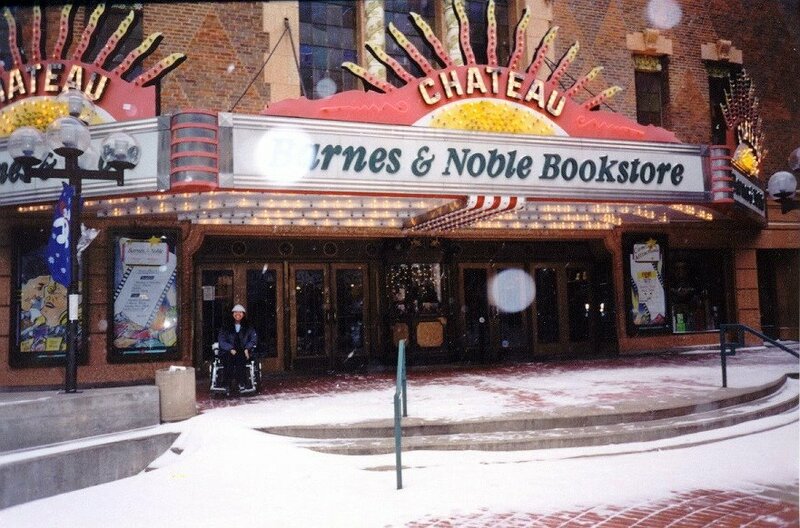 Here we are playing in the snow outside of Barnes and Noble which was previously a movie theater before being converted into a bookstore. Hoping someone newly diagnosed with adrenal cancer finds me instead of the searches that bring up “less than five years survival” types of statistics. To your health and your faith. Originally uploaded by ai pohaku. It’s been so long since I’ve written that I almost forgot my password to this journal. Excuse me while I re-read my last entry. Well I did end up meeting with my friends and getting my hair cut back in November. The photo above is the “before” shot. I have neglected this site for some time and I apologize. Some of you have written to ask about my well-being. I am fine. I reached my 5-year anniversary from my liver recurrence back in February. May 7 of this year marked my 9-year anniversary from my very first bout with cancer. First bout? Let’s change that to first time. I was a newcomer back in 1998. So here I am. One reason I have not written could be that I haven’t been active in adrenal cancer advocacy. You know that song Sitting Here in Limbo by Jimmy Cliff? Since my last entry, I would always log on to this journal and type only to delete the entry. I wasn’t inspired to post anything…”like a bird ain’t got a song.” I didn’t have any songs to sing to you about. How are you? I hope always that you are well, my friends.